Every sunset brings the promise of a new dawn and renewed hope. As I watched the last sunset of 2017 fade into the horizon; I can’t help but reflect back on the yesteryears of the organization and its humble beginnings. The first couple of years of our establishment we focused on empowering grassroots women with leadership roles in their respective communities and countries. As a result, we were privileged to co-host our very first women conference in Port Vila, Vanuatu in 2014 with other like-minded NGOs. Consequently, we were able to expand our work in literacy with Vanuatu Mamas’ English Class, one of our partner organizations in Vanuatu. 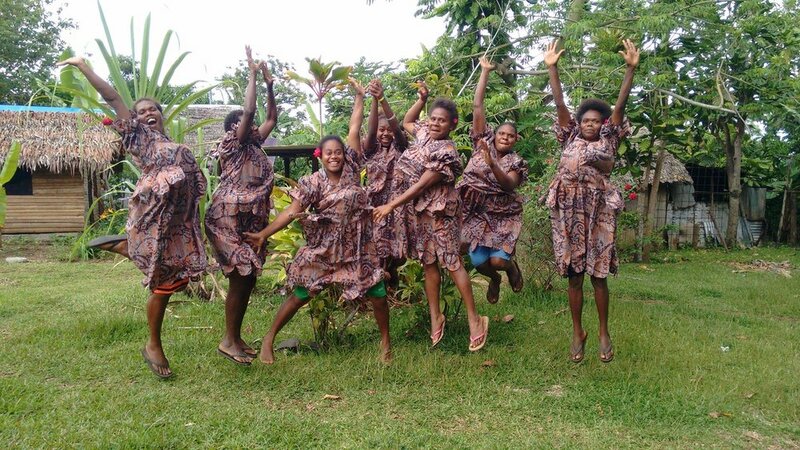 We are pleased to report an ongoing success with several initiatives as partners in English literacy in Vanuatu. Last year, MWT and VMEC raised funds to build a women's community house in Eratap. To expand the educational aspect and how to solve world problems, we invited the 7th and 8th graders of Odyessy Middle School from Bainbridge Island, Washington State in the U.S to help with fundraising as part of their service-learning projects. The New Year brings yet more work to be accomplished. The teams are working again this year to expand that program by raising funds to build a VIP toilet, washing station, and also to ship 50 solar flashlights to the village as well. Partnering up with Extend the Day was a wise move we feel on our part to supply us with the 50 solar flashlights to be used by the women and villagers of Eratap village. One of the organization's goals for the new year is to conduct research on the results of the Mama's English Class. We have partnered with GLEAM from Australia to collect data and publish our findings on the success of the literacy program. Our hope is to keep doing work that is research-based and share that research with the rest of the world. Wishing Everyone A Happy New Year - 2018!